The Misfit Path, the company's smallest hybrid smartwatch yet, is now available to buy. We first saw the smartwatch back at CES in January, where its slim and discreet profile had us charmed. While the Path shares the same DNA as the Phase, Misfit's first hybrid smartwatch, there are a few notable differences including the round markers around the face and the fact it lacks the Phase's colored wheel for signifying different notification types. 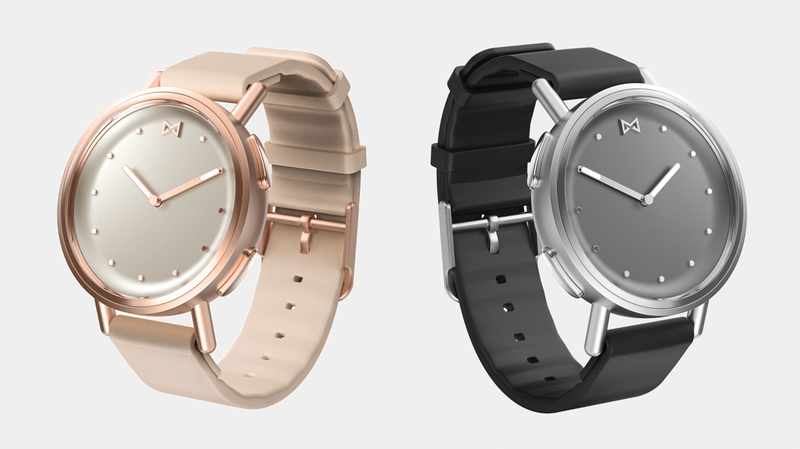 Its case also measures just 36mm wide, making it the smallest hybrid from Misfit so far. The Phase is 41mm wide. It does still support notification alerts through vibrations and hand movements, and you'll be able to customize these in the accompanying smartphone app. You can also set movement reminders and vibration alarms as well as auto-update time and date features. One of the side buttons can be dedicated to a special smart feature of your choosing, like remotely controlling your phone's camera or calling your phone when you lose it down the back of the couch. This is a feature we've enjoyed using on other Misfit and Fossil watches, one we've found particularly good for controlling music playback. The Path is water resistant to 50 meters too, a nice added bonus, and your basic step, calorie and sleep tracking are all there. One of the best features of hybrid smartwatches is their battery life -they often run on a single replaceable coin cell battery - and Misfit says the Path should stretch to six months. The Path starts at $149.99 and comes in four color options: Stainless steel, rose tone, gold tone, and a stainless steel version with gold tone accent. It can be picked up on Misfit's website.